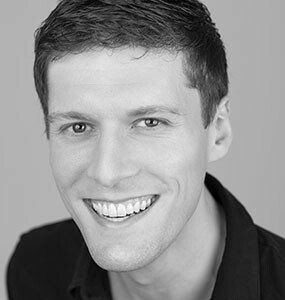 Pianist Nicholas Shaneyfelt is Visiting Assistant Professor of Music in Collaborative Piano at Luther College in Decorah, Iowa. He completed his doctoral studies in the Collaborative Piano studio of Martin Katz at the University of Michigan. Prior to Michigan, he served as Staff Accompanist for the Department of Music and Dance at the University of Massachusetts Amherst, with regular involvements at the Northampton Community Music Center. In the 2016-17 academic year, he accompanied Luther College’s Nordic Choir, including rehearsals of Bach's B minor Mass, and has accompanied the Chamber Choir and Chorale at UMass under the direction of Tony Thornton, the UMass Conducting Institute, the South Hadley Chorale, and regional honor choirs and choral societies in Iowa, Massachusetts, New Hampshire, Connecticut and Maine. Dr. Shaneyfelt recently completed his first summer on the faculty of the International Music Festival of the Adriatic, a summer festival for instrumentalists, vocalists, and composers in Duino, Italy. He also music directs at Belvoir Terrace in the Berkshires of Massachusetts. Originally from Knightstown, Indiana, Dr. Shaneyfelt received Bachelor’s degrees in Music and Computer Science from the University of Notre Dame, and a Master of Music degree from UMass with a dual focus in Solo and Collaborative Piano. At UMass, he was the recipient of the 2011 Eugenie May Piano Award. While at Notre Dame, he was the winner of the university’s concerto competition. His piano trio, “The Nora Trio,” was the first Notre Dame chamber ensemble to be selected as a finalist in the Fischoff National Chamber Music Competition. Dr. Shaneyfelt was a recent participant in the prestigious NATS (Nat'l Assoc. for Teachers of Singing) Intern Program in Toronto, Ontario, the inaugural year the program was expanded to include collaborative pianists. Notable recent performances include the premiere of David Amram’s Greenwich Village Portraits with saxophonist Jonathan Hulting-Cohen, engagements in Los Angeles, New York City, and the Kennedy Center through the University of Michigan’s Gershwin Initiative, and Winterreise with tenor William Hite. Upcoming engagements will take him to Berlin, Poland, and universities in Minnesota, Wisconsin, Iowa, Florida, and Georgia. His teachers include John Blacklow, Nadine Shank, Estela Olevsky, and Gilles Vonsattel.